EDH-11: 6xAA battery case for ALINCO DJ-580, DJ-180, DJ-280, DJ-480, DJ-582 etc. Home > Ham Radio > Battery Cases > EDH-11: 6xAA battery case for ALINCO DJ-580, DJ-180, DJ-280, DJ-480, DJ-582 etc. EDH-11 is a 6 x AA battery case for the ALINCO DJ-580/T, DJ-582/T, DJ-480/T, DJ-280/T, DJ-180/T, etc. Replaces the original Alinco-brand EDH-11; same exact size (about 2' tall). Load with 6 x AA alkaline batteries (dry cells/primary cells/non-rechargeable) for instant 9VDC power (about 3W Tx). SPECIAL: add 6 x AA alkaline batteries for only $3.00 more (see menu choices to select). 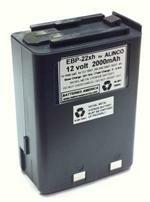 CBE-22 : Battery Eliminator for Alinco DJ-180, 280, 480, 580/T, 582/T radios etc. The CBE-22 is a DC mobile power adapter for Alinco DJ-180, DJ-180T, DJ-280, DJ-280T, DJ-480, DJ-480T, DJ-580, DJ-580T, DJ-582, DJ-582T radios etc. Has 12-13.8VDC Cig plug at one end, coiled cord, and battery shell at other end to slide onto radio. 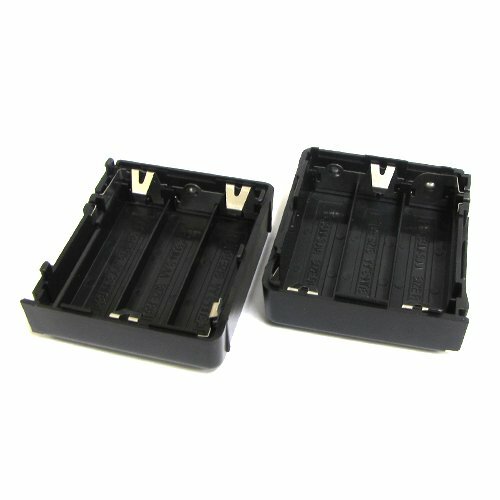 EDH-11h : 9xAA battery case for ALINCO DJ-580T, DJ-180, DJ-280, DJ-480, DJ-582, etc. EDH-11h: 9 x AA Alkaline Battery Case for the ALINCO radios. Fits the DJ-180, DJ-280, DJ-480, DJ-580/T, DJ-582/T, etc. Provides HIGH WATT TX. EBP-20x : 7.2volt 2000mAh LONG LIFE Ni-MH battery for ALINCO DJ-580, 480, 280, 180 etc. 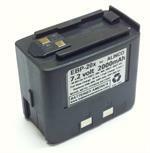 EBP-20x : 7.2 volt 2000mAh LONG LIFE rechargeable Ni-MH battery for ALINCO radios. Fits the DJ-180, DJ-280, DJ-480, DJ-580, DJ-582, etc. It recharges with the EDC-24/25 or with our EMS-20-28. EBP-22xh : 12v 2000mAh Ni-MH battery for DJ-580, DJ-582, DJ-480, DJ-280, DJ-180, etc. 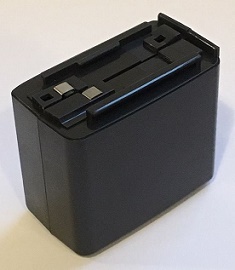 EBP-22xh : 12 volt 2000mAh LONG LIFE rechargeable Ni-MH battery pack for ALINCO DJ-580, DJ-580T, DJ-582, DJ-480, DJ-280, DJ-180, etc. NEW HIGHER CAPACITY.